Product Description Lord and Manor. Subtle curves contrast with sleek lines to create the Esquire Merlot bench's gorgeous style. Though based on traditional designs, there’s still plenty of room for contemporary expression. Brushed nickel carries through this bench, from nailhead trim to the caps on the turned legs. Extra-fine finishing touches include a luxurious black, faux crocodile-embossed upholstery on the seat cushion. 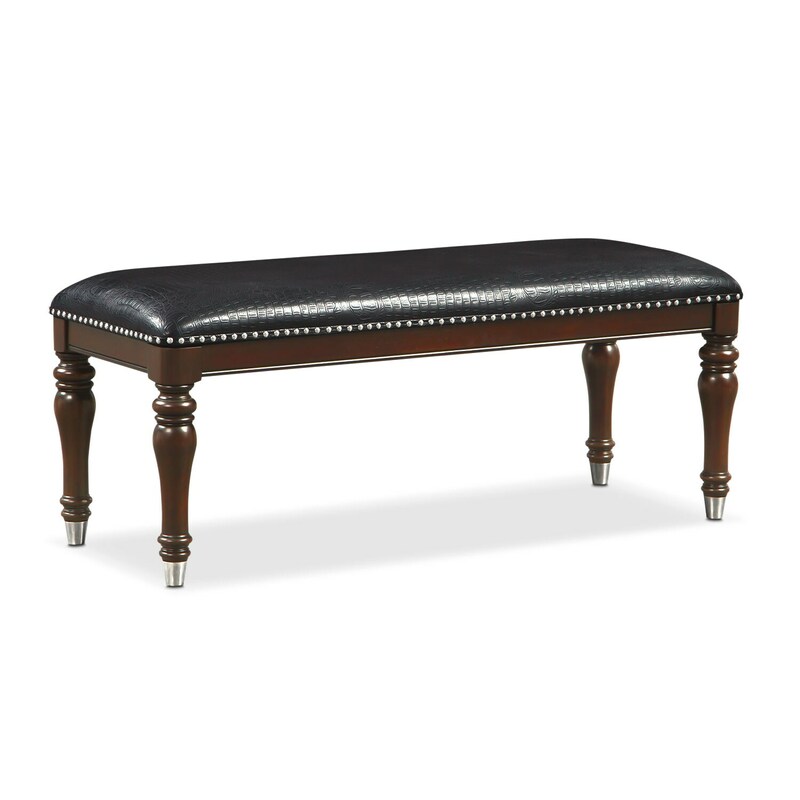 Unique Features: Black faux crocodile-embossed upholstery and brushed nickel nailhead trim distinguish the bench. Extra length provides more functionality for such things as putting on shoes or arranging clothing. Dense padding makes for a comfortable seat.